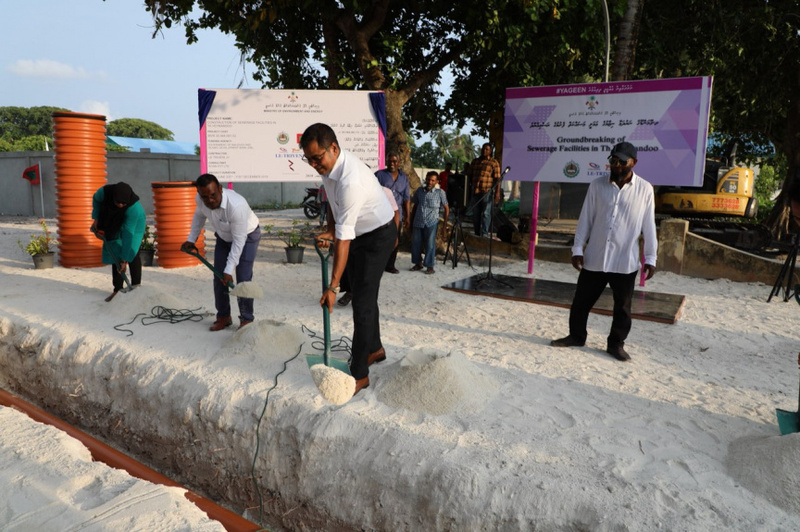 The sewerage and water network system in Thaa atoll Veymandhoo has begun. The groundbreaking ceremony for the project yesterday was launched by the Environment Minister, Thoriq Ibrahim. Agreement for Veymandhoo water and sewerage system project was signed with L.E.Triveni JV Company in June 2017. 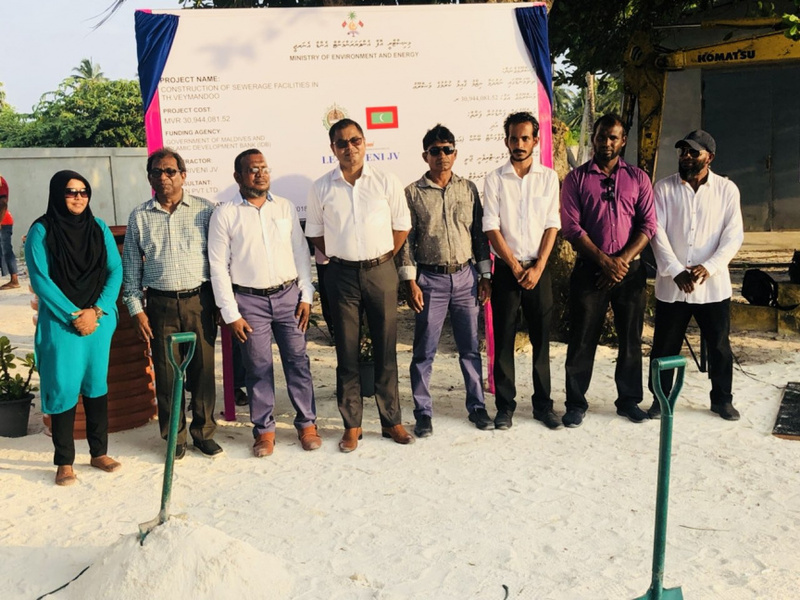 The project worth MVR 30 million is being funded by the state budget and a loan aid from the Islamic Development Bank (IDB) and contracted to be completed within 550 days from the date of signing. The contract also entails a sewage treatment plant and the administrative building to run the plant according to the Environment Ministry.